A guarantor mortgage is great for those who may otherwise struggle to get on the housing ladder. If you have little or no deposit, adverse credit or low income, a guarantor could be the missing link in getting your perfect mortgage. Lenders assess mortgages based on risk. By having a guarantor, the risk for lenders is greatly reduced. That being said, the risk is largely placed on your guarantor. This is because your guarantor acts as a ‘guarantee’ that the mortgage will be repaid. Nonetheless, as the risk for lending is reduced, having a guarantor mortgage can unlock some great deals. If you’ve struggled to get a mortgage, but have a willing guarantor, then you may be eligible for some great mortgage deals. There is a lot of risk for both the borrower and their guarantor, so it isn’t a decision to be taken lightly. You can make an enquiry now or continue reading for more information. A guarantor mortgage is a mortgage which is guaranteed by a parent, family member or a friend. The ‘guarantee’ means that if the borrower misses any mortgage repayments, then the guarantor has a legal obligation to repay the debt. Lenders will typically secure a mortgage on the guarantor’s own home or savings. As a result, the guarantor’s property can then be used as collateral, should the mortgage debt remain unpaid. This can be very risky, as your guarantor could lose their home if your mortgage is not repaid. 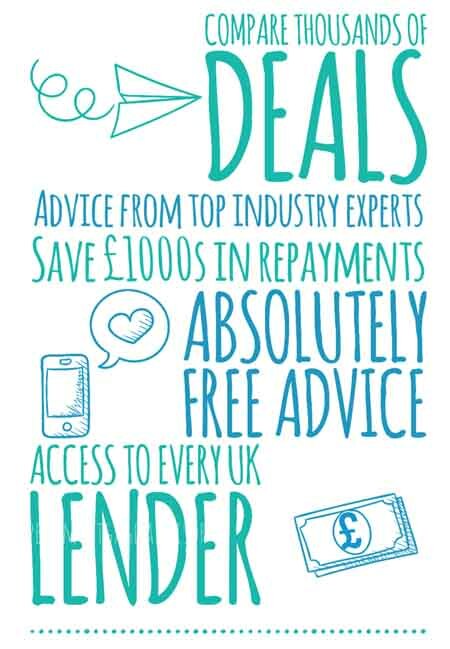 For this reason, mortgages are only approved once advice has been taken from mortgage advisors and solicitors. A guarantor can be liable for the entire value of the mortgage loan, however there are products which limit the amount a guarantor is liable for. Although friends can be guarantors, the majority of lenders will only offer guarantor mortgages to those with guarantors who are family. Guarantors can be parents, siblings, grandparents and stepfamily. Lenders will usually require your guarantor to be a homeowner. Furthermore, lenders will require your guarantor to have equity in their property. Guarantors will also have to meet affordability assessments. For instance, lenders need to be confident that guarantors can meet their own mortgage payments, in addition to your mortgage payments, should anything go wrong. If your guarantor is not a homeowner, there are lenders that may consider savings as collateral. In cases such as these, savings would be kept in a bank. Your guarantor would not have access to any funds until a certain amount of your mortgage was repaid. Guarantor savings can earn interest, but it all depends on the terms of the mortgage deal you choose. Will my guarantor own my property? Your guarantor will not own a share of your property. Guarantors are also not registered on any title deeds via the land registry. The guarantor agreement is strictly between your mortgage lender and your guarantor. Guarantors need to have full faith in any borrowers they’re providing a guarantee for. This is why lenders prefer guarantors to be close family members, such as parents. This doesn’t mean to say that your guarantor will own your property, it simply means they’ll have a legal obligation to ensure the loan is repaid. One of the main advantages of having a guarantor mortgage is that you will need little or no deposit at all. Some lenders are offering 100% mortgage deals to those with guarantors. This is great if you’ve not yet saved a deposit, but the rates on offer may not be the best. Lenders typically offer the best rates to those with deposits of at least 20-25%. That said, as guarantors are there to minimise lender risk, you may still be able to secure a great deal. This largely depends on your guarantor and the security that’s provided, such as the value of their property or savings that they can provide. Another huge advantage of guarantor mortgages, is where a borrower’s income is too low for the mortgage amount needed. Low income can result in lenders offering you a reduced loan amount or decline the application altogether. If you’ve got your heart set on a property, a reduced mortgage amount is simply of no use. If you have a guarantor, a lender may consider your guarantor’s income in addition to your own income. This is great for maximising the amounts you can borrow. 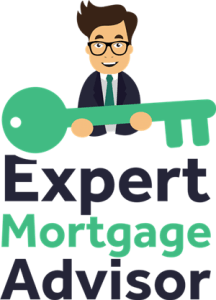 As an example, a lender may offer you a mortgage of £100,000, but with a guarantor, may agree to approve a mortgage of £140,000. If you have adverse credit, a guarantor could enable you to secure a mortgage. Bear in mind, you may still be able to secure a mortgage without the aid of a guarantor. Borrowers with bad credit are often declined by high street lenders and this certainly isn’t unusual. High street lenders tend to cater to borrowers with clean credit and ‘straight-forward’ circumstances. Nonetheless, there are a number of specialist adverse credit lenders that will consider bad credit borrowers. Learn more: How to get a mortgage with bad credit. If your guarantor has bad credit, then you may struggle to obtain a guarantor mortgage. It does depend on individual circumstances and if your guarantor has enough equity in their property or substantial savings/income, then securing a guarantor mortgage may be possible. It’s impossible to know what the best route for you is, without speaking to you first. You can make an enquiry with an advisor who will then assess your situation and guide you on whether or not you’ll need a guarantor. Furthermore, our advisors can search the best possible deals you’re eligible for. When can my guarantor be removed? A guarantor can be removed from a mortgage, however, this is subject to the lender’s original terms. Furthermore, it’s impossible to remortgage without a guarantor, until your existing lender consents. The terms of your mortgage will dictate when a guarantor can be removed from a mortgage. This will either be based on a set number of years or until a certain amount of the mortgage has been paid off. If payments are missed, your lender may extend the time until your guarantor can be removed. If your aim is to remove your guarantor from your mortgage, then be sure to understand the terms of your mortgage. This will give you a clear indication of how and when your guarantor can be removed. Guarantors are often only eligible for residential mortgages. Using a guarantor for a buy to let mortgage is extremely rare, but there are a handful of lenders that may consider approval. As this is considered a niche mortgage type, do make an enquiry so an advisor can go through this with you in further detail. Previous articleWhat can I use for a mortgage deposit?